OrbitSoft provides different levels of support for each of our products to give you the best options. Our support and service solutions cover pre-sales questions, installation issues, license activation, and custom programming, as well as troubleshooting any unexpected behavior. All of our products also come with detailed professional documentation. We provide product consultation and training, and we can help you to resolve any issues with custom code or special configurations. 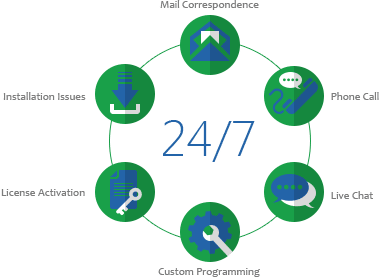 Everyone here at OrbitSoft is committed to providing the best professional 24/7 support for you and you can easily reach us via phone or email at our offices in the USA and Europe.